Does stainless steel really get rid of garlic smells? Round 2. Some time ago we put the old wives’ tale that stainless steel gets rid of garlic whiffs to the test. The results were inconclusive and with hindsight the control probably wasn’t ideal. So we are having another go, this time with the backing of the Royal Society of Chemistry and a consortium of chemistry outreach folk from the Universities of Hull, Sheffield, York, Leeds, Bradford and Huddersfield (the Yorkshire Chemistry Outreach Group). We need as many people as possible to perform a simple experiment to test whether stainless steel really is an effective odour remover. We’ll need plenty of tests if we are going to be sure of our results, otherwise it’s just more anecdote. And we’ll get back to you, to let you know whether it’s worth forking out for stainless steel soap soon. Crushed or fresh garlic contains sulfer containing compounds like alliin, ajoene, s-allylcysteine, enzymes, saponins and many other maillard reaction elements so it can make reaction with stainless steel. I did this experiment myself and it does work. I used a stainless cooking spoon and a plastic cooking spoon but how did the stainless spoon remove the odor without adding any special solution is what I don’t understand. I did this experiment and it did seem to work for me. The hand that i rubbed with the stainless steel spoon had much less of an odor than the one I rubbed with a plastic spoon. I am not sure how or why this works, but it did seem to work for me! This is very interesting experiment I will perform the experiment and double check on that. 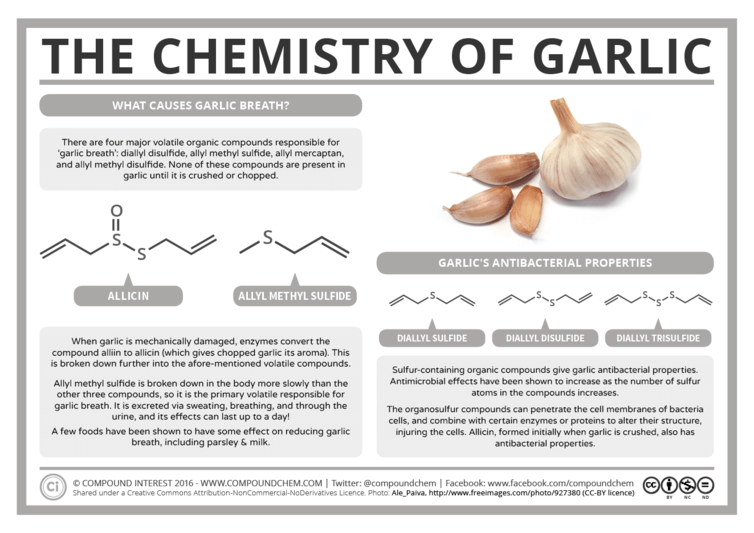 This is a very interesting reaction that occurs between the garlic and stainless steel. That’s super crazy that garlic doesn’t have an odor until the two internal chemicals mix. That makes sense why chefs prefer to crush or mince their cloves. So I take it that the steel metal is reacting with one of these chemicals, or it’s altering it into something new. Maybe that’s why it becomes odorless. Reminds me of an antidote for toxins from plants and animals. In another sense, we can alter something poisonous and turn it into something harmless. For example, table salt is harmless, but it was derived from inedible chemicals that could kill a human. So it makes sense how combining elements will completely change them from what they were. In this case it’s garlic odor.